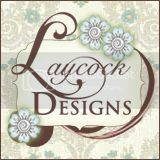 Cindy Pietrowski on Lovely Lattice - a peek at something new! * As an independent Stampin' Up! demonstrator, all of the content on this blog is my sole responsibility and the use of and content of the classes, services, or products offered is not endorsed by Stampin' Up! * The contents of my blog are my own and ©Lisa Lange and as such may not be copied, sold, changed or used as your own for contests, profits or otherwise without my permission and is here solely for the purpose of inspiration, viewing pleasure and enjoyment. Thank you for understanding. I was one of the OnStage Registration helpers last week in Minneapolis. and meeting new stamping friends from around the world! If you find something you need, order quickly! Once this list is released items go in the blink of an eye! Don't miss out! Please use the above code if your order is under $150 (net). It's almost new catalog time! I'm anxious to share the new catalog with you! and ordering begins June 3rd. CUTENESS! We have 3 fur babies and I was so excited to see that we now have a dog punch! The bundle includes the punch and the adorable Happy Tails stamp set! Gotta have it? I sure did! This bundle can be used for numerous occasions! I just love it! Down below you will find a complete list of supplies used on this card. Such a pretty card.... with the sewing enthusiast in mind! I love how the Quilt Top Embossing Folder background from the Annual Catalog coordinates with this Needle & Thread Bundle!!! The stamp set includes several greetings for you to choose from.... Get Well, Friend, Happy Birthday.... a very versatile set! 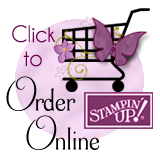 Important Updates from Stampin' Up! Here is a quick and important update for you! to me it sounds like some great new items will be in store for us in the near future! So here's a quick note to let you know what's going away and things you might want to order before they are gone FOREVER! 1. The Big Shot Die Cut Machine will NOT be in our new annual Catalog. If you need any of the Big Shot accessories, grab them NOW! (All your current dies and folders will work in whatever system we get in the future). 2. Our Dies and Folders are changing. I'll be attending the Demonstrator OnStage Event (Convention) in Minneapolis this weekend. I hope to have more info to share with you once I get back. I will also be getting a copy of the NEW ANNUAL CATALOG! Come to class in May to get a sneak peek!!! Includes 5 projects and all supplies needed. Occasions and Annual Catalog Projects! Oh, my goodness! Isn't this just the cutest bunny? The stamp set is called Fable Friends and is available in the Occasions Catalog. You just have to go and check out this stamp set! There are other cute little animals along with greetings for various occasions.... for Easter and Baby, too! Click on the Fable Friends icon below in the supplies section to see the whole set! It's a must have!!! These Baker's Boxes are so cute..... and so easy to decorate for a nice little gift to pop inside! I finished this one off by making a simple belly band to wrap around to make it special. These boxes are food safe and the clear acetate window is built in so you can have a cute little "show off" window for presentation! They are 2" x 2" x 4" in size.... a great size for so many giftables!